Torrey Thompson serves as general manager of an insurance independent marketing organization in Atlanta. In this role, Torrey Thompson leads seminars on such topics as Medicare coverage for eligible recipients. The Medicare suite of products includes four basic parts. Part A, also known as hospital insurance, contributes to inpatient care and skilled nursing care following a hospital stay. It also covers certain home health care and hospice services. Medicare Part B covers outpatient care, including doctor's visits and outpatient surgeries. It also contributes to what is known as durable medical equipment, such as walkers and other mobility aids, provided that the use of these items is medically necessary. Although Part A is usually available premium-free to those who have paid Medicare taxes throughout at least 10 years of work, Part B coverage usually requires a premium from the subscriber. Part C is an optional enhancement to Medicare. Known as Medicare Advantage or Medicare Health, such plans are available through private insurance companies, which receive government subsidies for offering these products. 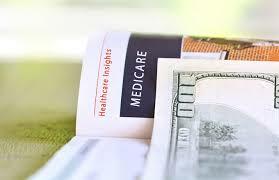 A Part C plan can help a subscriber to pay for services that basic Medicare does not cover. The final Medicare option is Part D, which is a subscriber's prescription-drug coverage. Like Part C, it is available through private insurers and requires a subscriber to have Parts A and B.